We answer the top ten beginner's mattress buying guide questions in depth for you right here. 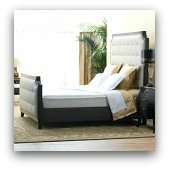 Why are so many people looking for guidance when purchasing a new bed? Consider this - you will spend approximately one third of your entire life lying on a mattress. For those of us who are especially fond of sleeping it may be even more. If you take this into account it's really no wonder there's demand for such a resource. 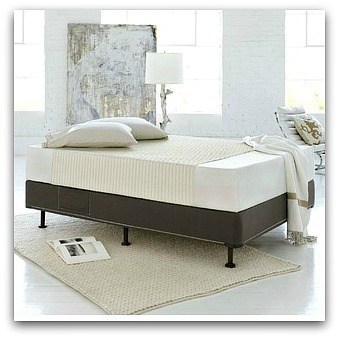 Reviews and information on all the major brands such as Serta, Sealy, Simmons and Tempurpedic. Latex and memory foam toppers. And especially - how to buy one. There seems to be a lack of good resources out there to educate people about one of the most important pieces of furniture in their home. Why this is we're not quite sure but here at Beginner's Mattress Buying Guide we intend to fill that void. How well rested you are can easily make the difference between a good day and a bad one. We feel it's important for people to be knowledgeable about something that's so vital to their general health and well being. Why? Because a good night's sleep is priceless! Unfortunately this question doesn't have a simple answer. Any good mattress buying guide will tell you there's really no such thing as "the best mattress". Because everyone's needs are different there is only "the best mattress for you". Some folks are looking for a nice firm surface while others want the ultimate comfort of a soft, well cushioned top that feels like you're floating on air. Some consider cost to be the most important factor while for others price is no object. If you absolutely must have an answer to this question then Consumer Reports best rated mattress brands are Tempurpedic, Original Mattress Factory, Select Comfort, Simmons, Kingsdown, Serta and Sealy. This is based on a survey they did between 2005 and 2009 with 13,000 responses. We consider Consumer Reports mattress buying guide to be the most professional and unbiased source available and see no reason to disagree with them. When is it time to start thinking about replacing your bed? Well the first sure sign is if you can feel the springs poking into you as you move around trying to get comfortable. Hopefully most people won't need a mattress buying guide to tell them they need a new bed long before it gets to this stage however. Most mid-priced coiled spring mattresses last 7 to 8 years depending on quality of construction technique and materials used. Just because it comes with a twenty year warranty doesn't mean it should last twenty years. The warranty doesn't cover general wear and tear from normal use or comfort issues. Take the mattress pad off and take a good look at the mattress. Is it worn and soiled? A typical mattress will absorb several gallons of sweat throughout its lifetime, making it the perfect breeding ground for mold, mildew and dust mites. Does it bow in the middle, even slightly? If the top comfort layer looks permanently compressed then the unit is no longer capable of properly supporting your body. The extra aches and pains are from your spine and neck being allowed to fall into unnatural shapes as you change positions throughout the night. Many people may not realize this without reading a good mattress buying guide. Short answer: if you start waking up with more aches and pains than usual and your current set is older than 5 or 6 years then we'd recommend thinking about finding a new one. Your budget will largely determine the size and type you can shop for. A couple on a very tight budget may want to look at a Queen or even a Double size innerspring bed. A decent quality set of this type, such as an entry level Sealy Posturepedic or a Simmons Beautyrest can be found for around $500 or less on sale. As you travel up the range of models in these famous name brands and add more features and better craftsmanship, you can reach levels of several thousand dollars in their top of the line models. Above that, if you're willing to spend a big chunk of change on a luxury mattress, there are quite a few options available. High-end luxury mattresses used to be a very small part of the market, barely even prevalent enough to be called a category of their own. But in recent years the concept has exploded and now virtually every major manufacturer offers a luxury line. Sealy has Stearns and Foster, Simmons has Beautyrest Black, and if you've got money to burn there's Hypnos, VI Spring, Duxiana, Shifman, and Hastens. If you have a tight budget but have your heart set on a memory foam mattress you'll probably have to rule out a Tempurpedic. However there are several solid mid range alternatives such as the Sealy Brand memory foam line (not the Sealy Embody which is priced to compete with Tempurpedic). You may also want to look at The Classic Sleep and the Eclipse Perfection Rest models which are even more reasonably priced but are still receiving good reviews. When you reach this price level however, you need to remember that you get what you pay for. They may be very comfortable but you can't expect them to last more than a few years. For those without much money who are interested in latex the choices are few and far between. Latex mattresses are known to be one of the most expensive types because they are costly to create and because they can last for a very long time. The more latex in the mattress the more expensive it will be and the longer it will last, sometimes even twenty years or more. Manufacturers can't afford to sell a product cheap if you're only going to be buying one every twenty years. There are several decent options for inexpensive latex beds but you have to understand that what you're getting is two or three inches of Dunlop Latex (Talalay costs more) on top of 8 or 10 inches of cheap polyurethane foam. This, of course will break down much faster and the bed will not last nearly as long as an 100 percent latex mattress. However if you just want the feel of latex and realize that you get what you pay for then you can find several good inexpensive latex options. 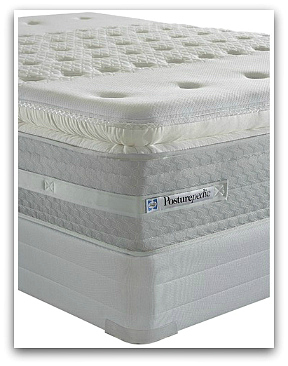 We recommend the Eco Lux and the Classic Sleep brands. 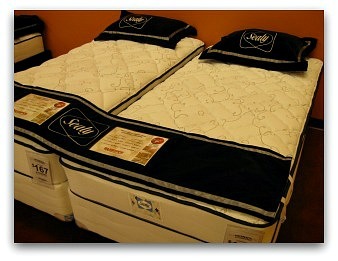 If you have a bigger budget and want a very nice bed then the Sealy Brand latex models are the ones to look at. If money is not a problem then the Sealy Embody latex models are beautiful mattresses that we believe are still reasonably priced at under $3000. Mattress sizes have been standardized for many years now in order to coordinate them with the makers of bed frames. As people have gotten taller due to better nutrition and a better standard of living, longer versions (XL) have been made available. The smallest size is the Twin or Single which measures 39 x 75 inches. The XL version is 39 x 80. This size is meant for one person and is typically used in kid's rooms or in twin sets for married couples who don't wish to disturb each other with their movements throughout the night. The next size up is the Full or Double which measures 53 x 74 inches. The XL version is 53 by 80. This size is just large enough for a couple that doesn't mind being cozy with each other and not having a lot of room to move around. It is generally used either for a couple with a small bedroom and a tight budget or for a single person who wants more space than a Single provides. Moving up the line we have the Queen size which measures 60 x 80 inches. The Queen generally isn't offered in an XL version since 80 inches in length is enough for all but the tallest people. If someone is that big they'll probably want a California King size anyway. The Queen is the most common of all sizes. This is because it's perfect for a couple who wishes to share the same bed without being too crowded. Most bedrooms in the US can comfortably accomodate a Queen size and you can get them through the door without too much trouble. The next size up is the King which measures 76 x 80 inches. It is also available as a California King size which measures 72 x 84. This is kind of like an XL version but is somewhat of an anomaly because you gain the length but lose some width. The regular King is closer to a square where the California King is more like a traditional rectangular shape. If you're taller than 6'4" then you will probably want a California King, otherwise you may want to stick with the regular King size. This is something a lot of people may never think about without reading a mattress buying guide. The extra width can be useful and will allow you to sleep in just about any position or direction you want to. It is probably the only size that will allow you to rotate the unit just a quarter turn so you can make it wear more evenly. Either way, these beds are enormous and will require a large master bedroom. They also tend to be very expensive. Does your bed frame have sufficient center support? Most manufacturers now require center support rails on your bed frame in their warranty agreements for Queen and King size beds. 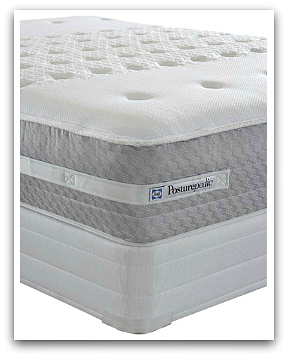 Lack of proper center support is a common source of premature sagging in new mattresses. One wooden slat probably won't cut it. You need at least one rail with a foot extending to the floor in the center to properly support your new purchase. However, Beginner's Mattress Buying Guide recommends three evenly spaced rails (with feet) just to be safe. Some of today's extra thick units can be very heavy. If you do this and your new purchase starts sagging then at least you know it's not your own fault. What firmness or comfort level are you looking for? Mattresses typically come in three different comfort levels that determine the overall firmness of the surface: firm, plush, or pillowtop. There's quite a few different variations on this theme that you may encounter when mattress shopping, such as extra firm, medium, ultra plush, euro top, tight top, etc.... but it can be boiled down to the basic three our mattress buying guide has listed. Thinking about all the rest will just confuse you and probably help the salesman sell you something more expensive. It is absolutely crucial to get this right because if it's uncomfortable when you get it home, you will either have to return it, which can be a costly mistake, or get stuck with an uncomfortable and expensive mattress that you don't like. Traditional wisdom has been that people with bad backs should go for a firmer bed but in recent years this has been disproved and is actually bad advice. A firm unyielding surface may actually cause you more pain by forcing your spine into an unnatural position. However, you don't want to go too far in the other direction either. Pillowtops may appear super comfy in the store and feel heavenly when you test them out, but they can cause major problems down the road. The number one reason we hear, over and over, for why people are unhappy with their purchase is because their pillowtops have formed body impressions. After just a few months of sleeping on a pillowtop mattress an indentation may form where you lay down every night, causing it to lose a lot of its comfort and support. This may also cause a hump in the middle of the bed which separates the two sleepers. The reason this happens is because the pillowtops are filled with cheap polyurethane foam which can't stand up to heavy use. This is true even in some sets costing several thousand dollars. 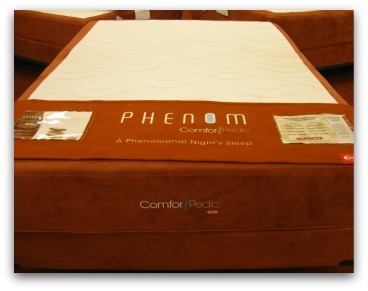 Unless you know for certain that your pillowtop is filled with at least 2" of real latex or high quality 5lb memory foam (found only in high end luxury brands) then we here at Beginner's Mattress Buying Guide recommend avoiding pillowtops completely. We would suggest a plush style mattress for most people. Unless you're completely sure that you prefer a firmer feel, a plush surface will satisfy the majority of consumers, in that they will last the longest and feel the most comfortable. Also, when the bed begins to reach the end of its lifespan, it can easily be rejuvenated by adding a high quality memory foam or latex mattress topper. 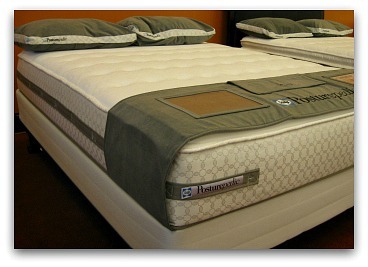 What type of mattress are you looking for - traditional innerspring, memory foam, latex, or air? Traditional innerspring mattresses still make up the majority of the market and their design has improved greatly over the last hundred years. They are likely the most affordable for the majority of people while still maintaining a certain level of quality and comfort. We recommend that most people start their hunt for a new set here. The other types are still considered specialty products and are more expensive but may be worth checking out if you've got the money or just find them interesting. Each of the different types have a very distinct feel. The foam mattresses such as latex and memory foam are somewhat similar but latex feels a little firmer and you don't have that feeling of melting into it like you do with memory foam. But high quality natural latex mattresses can be made extremely comfortable and have been known to actually last 20 years. They're more environmentally friendly, and if you have any sensitivity to chemical gases from petroleum products then they're a much better choice than memory foam, which has been known to "off gas" and release a very strong odor for several days after being opened. High quality memory foam like Tempurpedic or Sealy and Simmons probably will have found ways to address these issues and can be incredibly comfortable if you like the feel of them. Some people love them and others just can't get used to the very different feel they have from the coiled spring bed they grew up with. Unless you're looking for a portable camping air mattress then there are really only two companies that make high quality home bedroom air mattresses: Comfortaire and Select Comfort. Select Comfort makes the Sleep Number Bed which is much better known due to the millions they spend on TV advertising. The unique thing about these types of beds is that they allow you to completely customize the firmness level of each side to the preference of the sleeper. They do this by inflating or deflating air chambers inside the bed with an air pump. This is a very neat idea and many people love them and swear by them. Others say that it still feels like sleeping on a camping mattress. We imagine that to truly be satisfied you will need one of the higher end models which use thicker and better quality materials in the surface comfort layer. Is the manufacturer's warranty even worth the paper it's printed on? You would do well to read the fine print on your new mattress warranty, even if it bores you to tears. There is a long list of things which can void the warranty completely, such as a stain on the upholstery or removal of the tag that says "Do Not Remove". It only covers manufacturer's defects. Things like failure of the innerspring assembly resulting in the unit collapsing or possibly the upholstery coming apart at the seams due to improper sewing technique. These are things that should be caught by Quality Control before the set even leaves the factory. Most major manufacturer's defects will become apparent early on. If the bed performs as expected for the first year, chances are pretty good there's nothing wrong with it. It does not cover what they call "comfort issues". If you decide the mattress has become uncomfortable, due to premature sagging for example, but cannot prove that it's due to a manufacturers defect, they will not take it back. They consider indentations where the person lays to be body impressions. Body impressions are normal and are to be expected up to a certain point. The warranties are very specific about how deep the indentations have to be in order to be considered a defect. Most major manufacturers say an inch and a half. If you want to return your purchase for this reason, the company will usually send a representative to your home in order to measure the indentations. Unless the set really did sag prematurely, most of the time the body impressions will not be deep enough to qualify. Even if they are deep enough, the representative will check your bed frame to make sure it had proper support and it's not your fault. Again, if there's even a small stain on the mattress, the warranty is void regardless of who's at fault for the defect. Finally, check to see whether your warranty is pro-rated. A pro-rated warranty is weighted heavily in favor of the manufacturer. For example, if you have a ten year warranty and the set is pro-rated so that the consumer pays one tenth of the price of the unit for each year of ownership; then you have a major malfunction after 5 years, you will have to pay 500 dollars towards the replacement and most likely the cost of shipping both ways as well. You might as well just buy a new one at that point, don't you think? So, if you can find a warranty that's not pro-rated, will pay the cost of shipping in at least one direction, and you realize it will only cover an item that has failed due to a major manufacturer's defect but otherwise is still in pristine condition, then yes, the manufacturer's warranty is worth the paper it's printed on. Can I return my purchase and get my money back if it turns out I don't like it? The manufacturer's warranty virtually never says it will refund your money. They will either repair or replace the unit at their discretion. In other words, whichever costs them less. Furthermore, as we stated above, body impressions are not considered a manufacturers defect and are not covered under the manufacturer's warranty. The manufacturers warranty never covers "comfort issues" of any kind. This is why many retailers offer a separate comfort guarantee of their own which allows you to return the product within a certain time frame - usually 90 days - if you find it uncomfortable after a few weeks of sleeping on it. Pay very close attention to the length of your retailer's "comfort guarantee" and keep your receipt handy. Find out who is responsible for the cost of shipping the bed back and forth if you have to return it. Obviously if you live nearby and own a truck then it's no big deal. But shipping a large, heavy item several hundred miles can cost a lot of money. Also, package it very well because if it gets dirty during shipping they probably won't take it back. You need to make a decision about whether you like your new purchase within the time period stated by the comfort guarantee or you will be out of luck. Also, buy a water resistant mattress cover because, as we said before, stains always void the manufacturers warranty and just may void the comfort guarantee as well. Do you need a bed frame or can you put the set directly on the floor? Well, in case you haven't guessed, you need to check and see if it voids your warranty first. Some manufacturers require frames for various reasons. You might be surprised at how many requirements there are in a mattress warranty and you wouldn't want to accidentally void it. If it's not mentioned in the warranty then we believe its fine to put it on the floor and won't damage the mattress. However, there may be several reasons why you find you don't like it. You have to bend over further to make the bed, putting pressure on your joints which may bother you depending on age. It also makes it more difficult to stand up when getting out of bed. If you live in an environment with a lot of insects then it makes it easier for them to crawl up into the bed. If your home is free of spiders, ants etc.. then it's not a problem. If you live in a humid climate then moisture may get trapped under the bed, eventually causing mold and mildew, which can become very unhealthy if it goes unnoticed for a long time. A bed frame would raise the mattress set off the floor, allowing air to circulate beneath it and moisture from sweat and general humidity to dissipate. If you have nicely finished hardwood floors then the boxspring might scratch them. Finally, if you're used to having beds in frames then you simply might not like the way it looks. It does tend to look less elegant and sophisticated. 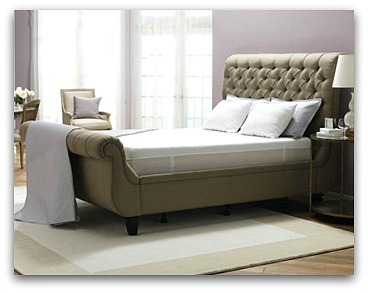 Would you like to share your knowledge about mattress buying guide? 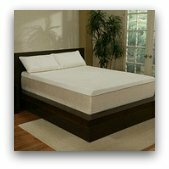 Contribute to www.best-mattress-buying-guide.net!